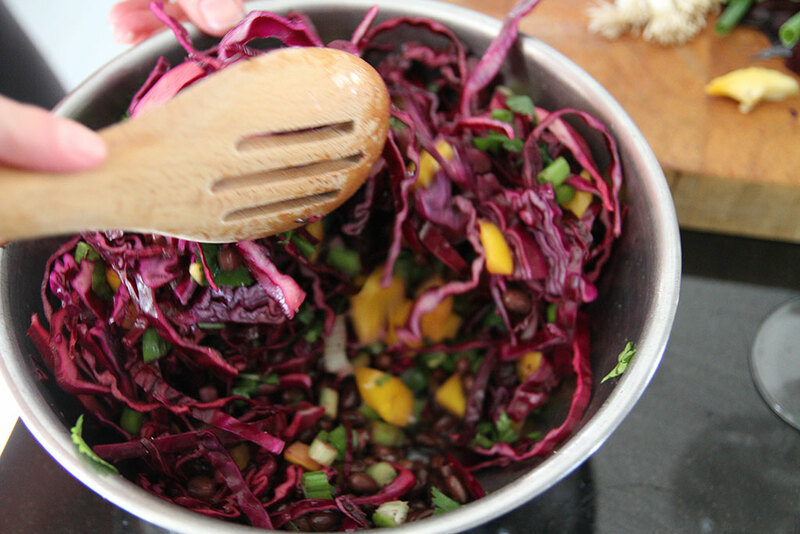 I am almost as excited to share this recipe with you as I was to devour it. It was full of flavour and quite simple to make which for a week night is a win-win meal in my books. 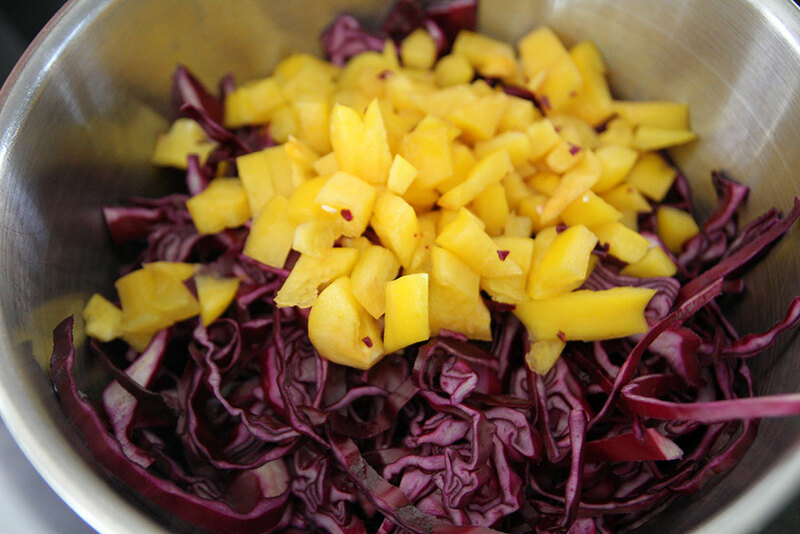 This dish is probably not what one would expect as it combines a perfectly baked warm spaghetti squash with a refreshingly cool red cabbage slaw. This little boat of vegetarian goodness was topped of with the best guacamole I think I have ever made or tasted (thanks me!) I admit that I have always prided myself for my regular chunky “guac” but this cheeky little dip goes the distance and adds incredible flavour to this layered surprise. I seriously could eat an entire bowl of this stuff but alas I did have to share with the rest of the family. Note to self, make a double batch next time. 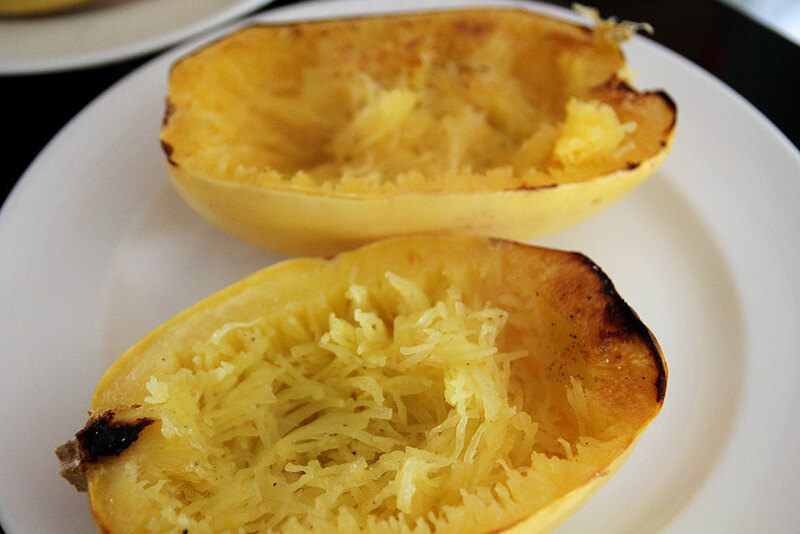 Spaghetti squash is a versatile food perfect for a lower carb diet. It can be used as a substitute for high carb pastas and it contains many nutrients, including folic acid, potassium beta carotene and Vitamin A. It is low in calories, averaging 42 calories per one cup. These Mexican spaghetti squash bowls are easy to make, vegetarian, vegan and low carb. The guacamole that tops this lovely meal is only the begining of the fiesta that will happen in your mouth. Olé! There are 27g net carbs, 13g protein and 10 Weight Watchers points per serving. Preheat the oven to 400 degrees and place the halved spaghetti squash on a large baking sheet lined with parchment paper and drizzle with 2 tablespoons olive oil. Rub the olive oil all over each of the halves, adding more if necessary. Sprinkle the insides of the squash with freshly ground black pepper and salt. Turn them over so the insides are facing down and roast for 40 to 60 minutes, until the flesh is easily pierced through with a fork. 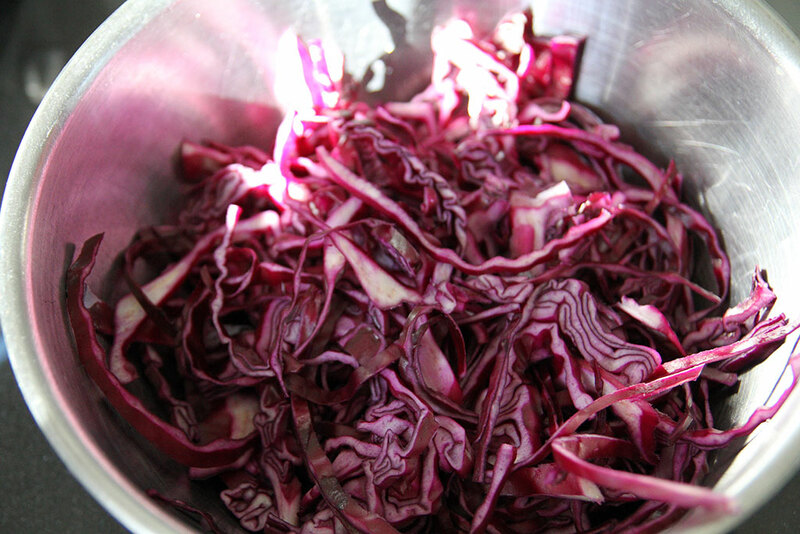 Using a very sharp knife or a mandolin slice the red cabbage into thin strips. 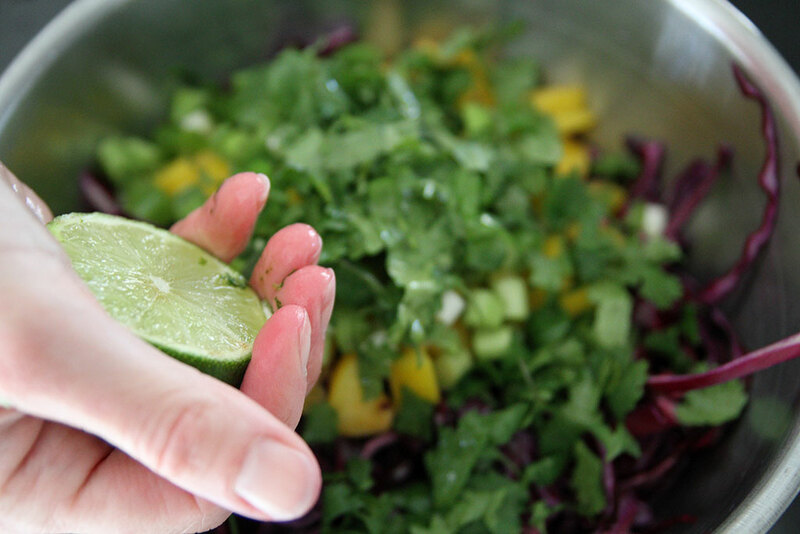 Squeeze fresh lime juice, olive oil and salt. Toss to combine and set aside to marinate. 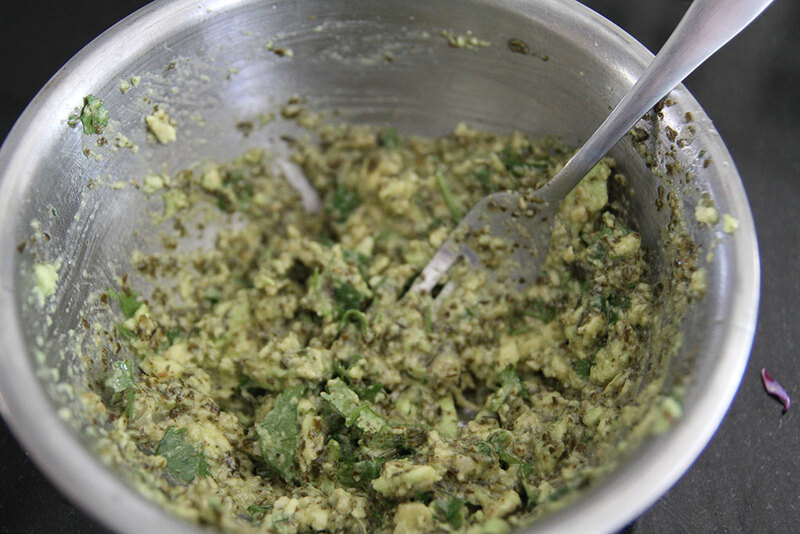 In a small bowl, mash together the avocado, green salsa, cilantro, lime juice and garlic. Don't mash too much, make sure it is still a little chunky. To assemble, first use a fork to separate and fluff up the flesh of the spaghetti squash. 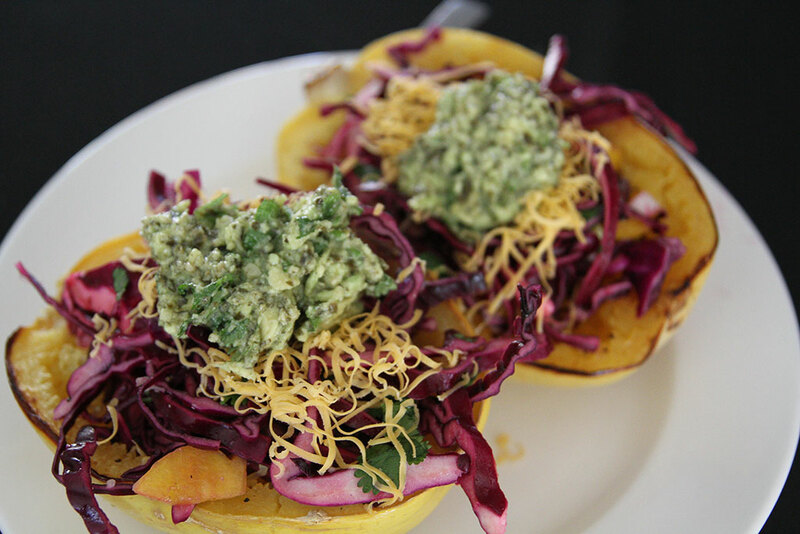 Divide the slaw into each of the spaghetti squash "bowls," and add a big dollop of guacamole. Finish the bowls with another sprinkle of freshly ground black pepper and some extra chopped cilantro. Enjoy!